Horse racing is different from many sports that you can watch and even bet on. Rather than a specific season, horse racing is conducted all year long. There isn’t a single day when you can’t find racing being held somewhere throughout the world. Even though these standard race cards are exciting to play at your favorite online racebook, there are still a few events that even the casual bettor does not like to miss. 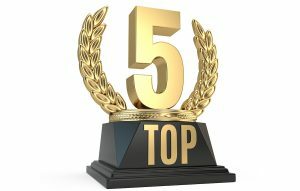 Here is a look at the Top 5 horse racing events. The Run for the Roses is still the number one event in horse racing. Held each year on the first Saturday in May, the Kentucky Derby is the first jewel in the Triple Crown. The race is contested at Churchill Downs in Louisville, Kentucky and is a spectacle that attracts the rich and famous as well as regular people that like EZ Horse Betting. 2018 marks the 144th running of the event which has featured the likes of Secretariat and Seattle Slew. It is now sponsored by Yum Brands which owns KFC and Taco Bell. 20 horses are selected each year to participate in the race. Horses must qualify for the event by competing in a series of prep races. The horses earn points that are then tallied. The horses with the most points are allowed to enter the race. Each year a highlight of the Kentucky Derby is a performance of “My Old Kentucky Home” by the University of Louisville marching band. As the horses take the track for the post parade, the crowd sings along in a moment that gives many people goosebumps. The winner of the race is covered with a blanket of roses as a reward for completing the most exciting two minutes in sports. Owners do far better. The purse for the event is more than $2 million. Twin Spires is the name of the company that owns Churchill Downs and the Kentucky Derby. 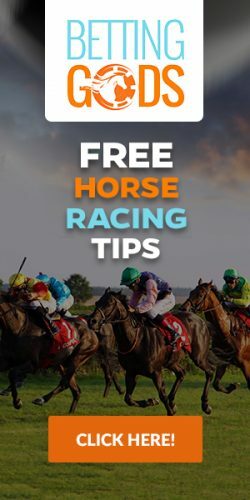 Those who like to bet horses online can create an account with TwinSpires.com and enjoy legal horse betting in the United States. Conducted at Meydan Racecourse each March as a part of the Dubai Racing Carnival, this event was for many years the richest horse race in the world with a purse of $6 million. It has been supplanted by the new Pegasus World Cup but the organizers of the event claim that they will once again make the Dubai World Cup the richest. This race is for older horses four years of age or more and regularly features champions from the United States. Horses like Curlin, California Chrome, and Silver Charm have made their way to Dubai to compete against other champions from France and Japan. It is also noteworthy to mention that horses are not permitted to race on Lasix medication in Dubai, so all the horses are on a more or less level playing field. Horse bettors in the United States are able to play the Dubai World Cup at their favorite online sports book. The races are held at night in Dubai so this means you will need to wake up early in the U.S. if you want to make a bet on the race. The Prix de l’Arc de Triomphe is the premiere race in France for three-year-old horses. It is usually held on the first Sunday in October. This race is comparable to the Kentucky Derby in the United States and features the best thoroughbred horses in France. The race was first conducted in 1920 and is held at the Longchamp Racecourse in Paris, France. The race is conducted at a distance of 2,400 meters (1 ½ miles) on the grass or turf course. Turf racing is the standard in all European countries. The purse for the event is €5,000,000, making it one of the richest horse races in the world. While all racing at Longchamp throughout the year may not be available on all racebooks, this is an event that most every racebook will take wagers on. It is one of those events which gets attention all over the world and not just in France. If you are going to bet the race at your racebook, be sure to become familiar with the Timeform speed rating which are used in Europe. They are somewhat different from the Beyer Speed Figures you may be used to. This is one of the newer events on the yearly racing calendar. It was held for the first time in January of 2017 and became the richest horse race ever ran with a purse of $12 million. The promoters of this event are serious about their endeavor. They have elevated the purse money to $16 million in 2018. The Pegasus World Cup will be held on January 27, 2018 at Gulfstream Park in Florida. Only 12 horses will be invited to compete in this invitational event. The race is the dream of horse racing mogul Frank Stronach who first proposed the event in 2016. He wished to conduct a race at 1 ¼ miles for champion horses that would fall between the Breeders’ Cup and Dubai World Cup. The timing of the race is significant because most retiring horses enter stud service in February. This race gives them a chance for a proper retirement send off. Eventually the distance of the race was shortened to 1 1/8 miles. The race is restricted to horses that are four years of age or older. The format for the race is somewhat strange. 12 shareholders are required to put up a stake of $1 million each in order to receive a position in the starting gate. In 2016, Arrogate further staked a claim as the greatest thoroughbred of the modern era by winning and claiming the lion’s share of the purse. Held each year in late October or early November, the Breeders’ Cup World Championships is designed to be the Super Bowl of horse racing. It includes a full schedule of events for horses in many different categories. There are sprints, routes, and races for juveniles. There are also races held on the turf. The highlight of the event is the Breeders’ Cup Classic. This race draws the most talented horses on the planet and is a big factor in which horse will ultimately be named Horse of the Year at the Eclipse Awards. While some may feel that the importance of this race has waned, it is still a major factor in crowning a true champion. A live broadcast of the Breeders’ Cup is held each year and usually delivered by NBC. One can also fine video feeds of the Breeders’ Cup at their preferred racebook. This event is by far one of the most exciting events to bet on. The payoffs for the various races can be extreme. To get in on all the exciting action of these racing events, create an account now with a racebook recommended by EZ Horse Betting. You will earn a nice bonus for signing up and you will also be able to wager on your computer, tablet, or phone.